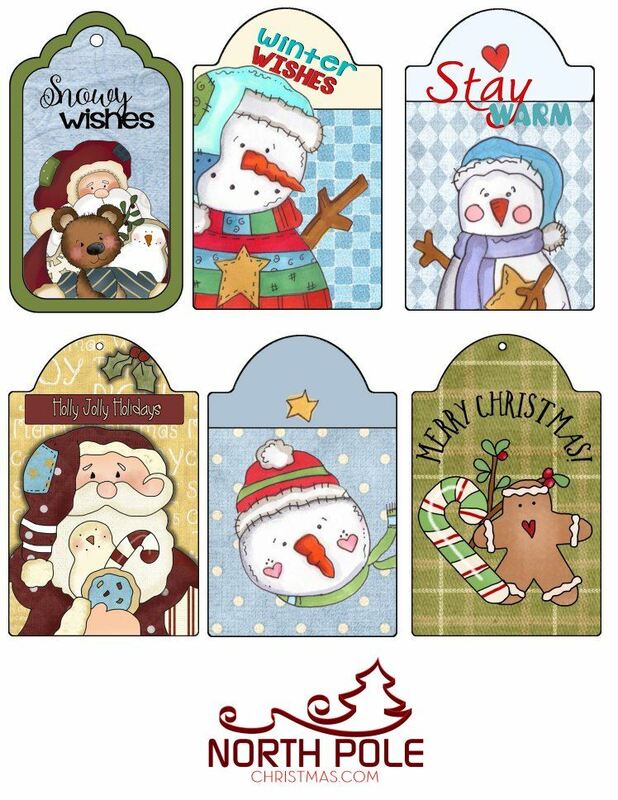 Printable Christmas tags on a sheet of 6 tags. Christmas tags have Santas, snowmen, and gingerbread man. Free Christmas gift tags for homemade items and presents.